VW CERTIFIED PRE-OWNED WARRANTY / CPO ~, Heated Front Seats, Backup Camera, Navigation System, Power moonroof, RNS 315 Touchscreen Navigation System, Remote keyless entry, Traction control, ABS brakes, Alloy wheels, Electronic Stability Control, Heated door mirrors. KBB Fair Market Range High: $13,193 KBB Fair Market Range Low: $10,950 Volkswagen Certified Pre-Owned 2012-2017 Model Years Details: * Roadside Assistance * 2 Years of 24-Hr Roadside Asst. Transferability See Dealer for Details * Limited Warranty: 24 Month/24,000 Mile beginning on the new certified purchase date or expiration of new car warranty expires (whichever occurs later) * Warranty Deductible: $50 * Vehicle History * 100+ Point Inspection 2014 Volkswagen Jetta Hybrid SEL Deep Black Pearl Clean CARFAX. 1.4L TSI I4 16V 7-Speed DSG Automatic with Tiptronic FWD Odometer is 6181 miles below market average! 42/48 City/Highway MPG Plus, with #1 Cochran's Market Based Pricing you can feel confident that you are receiving the Best Price and Value available to You! #1 Cochran has been providing the Tri-State area with excellent sales and service experiences for 50 Years. STOP! Buy Today! Let YOUR #1 Cochran experience begin! Recent Arrival! VW CERTIFIED PRE-OWNED WARRANTY / CPO ~, AWD. 2016 Volkswagen Tiguan S 4Motion Silver 2.0L 4-Cylinder Turbocharged 6-Speed Automatic with Tiptronic AWD Odometer is 3115 miles below market average! 20/26 City/Highway MPG Volkswagen Certified Pre-Owned 2012-2017 Model Years Details: * Roadside Assistance * 2 Years of 24-Hr Roadside Asst. Transferability See Dealer for Details * Vehicle History * 100+ Point Inspection * Limited Warranty: 24 Month/24,000 Mile beginning on the new certified purchase date or expiration of new car warranty expires (whichever occurs later) * Warranty Deductible: $50 Plus, with #1 Cochran's Market Based Pricing you can feel confident that you are receiving the Best Price and Value available to You! #1 Cochran has been providing the Tri-State area with excellent sales and service experiences for 50 Years. STOP! Buy Today! Let YOUR #1 Cochran experience begin! Recent Arrival! ABS brakes, Compass, Electronic Stability Control, Heated door mirrors, Illuminated entry, Low tire pressure warning, Remote keyless entry, Traction control. 2017 Volkswagen Tiguan 2.0T White 2.0L TSI DOHC 6-Speed Automatic with Tiptronic FWD Odometer is 4025 miles below market average! Volkswagen Certified Pre-Owned 2012-2017 Model Years Details: * 100+ Point Inspection * Roadside Assistance * Limited Warranty: 24 Month/24,000 Mile beginning on the new certified purchase date or expiration of new car warranty expires (whichever occurs later) * Vehicle History * 2 Years of 24-Hr Roadside Asst. 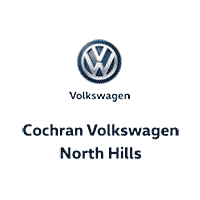 Transferability See Dealer for Details * Warranty Deductible: $50 Plus, with #1 Cochran's Market Based Pricing you can feel confident that you are receiving the Best Price and Value available to You! #1 Cochran has been providing the Tri-State area with excellent sales and service experiences for 50 Years. STOP! Buy Today! Let YOUR #1 Cochran experience begin! Recent Arrival! VW CERTIFIED PRE-OWNED WARRANTY / CPO ~, FOUR WHEEL DRIVE / 4WD ~, 17" ALLOY WHEEL, PREMIUM PACKAGE, AWD, Power steering, Power windows, Remote keyless entry. 2017 Volkswagen Tiguan 4Motion Black 2.0L TSI DOHC 6-Speed Automatic with Tiptronic AWD Odometer is 9291 miles below market average! Volkswagen Certified Pre-Owned 2012-2017 Model Years Details: * Vehicle History * 2 Years of 24-Hr Roadside Asst. Transferability See Dealer for Details * Warranty Deductible: $50 * Limited Warranty: 24 Month/24,000 Mile beginning on the new certified purchase date or expiration of new car warranty expires (whichever occurs later) * Roadside Assistance * 100+ Point Inspection Plus, with #1 Cochran's Market Based Pricing you can feel confident that you are receiving the Best Price and Value available to You! #1 Cochran has been providing the Tri-State area with excellent sales and service experiences for 50 Years. STOP! Buy Today! Let YOUR #1 Cochran experience begin! Recent Arrival! VW CERTIFIED PRE-OWNED WARRANTY / CPO ~, Navigation System. 2018 Volkswagen Golf SportWagen SEL White 1.8L TSI 6-Speed Automatic with Tiptronic FWD 24/33 City/Highway MPG Plus, with #1 Cochran's Market Based Pricing you can feel confident that you are receiving the Best Price and Value available to You! #1 Cochran has been providing the Tri-State area with excellent sales and service experiences for 50 Years. STOP! Buy Today! Let YOUR #1 Cochran experience begin! We appreciate your interest in our inventory, and apologize we do not have model details displaying on the website at this time. Please fill the form out below and our team will quickly respond, or, please call us at (412) 245-4620 for more information.